-20° C today! Oh, baby, it’s cold out there! Makes me think of Ella Fitzgerald https://www.youtube.com/watch?v=tuCO7Kq744U. So it’s a good day to turn on the oven and bake something. 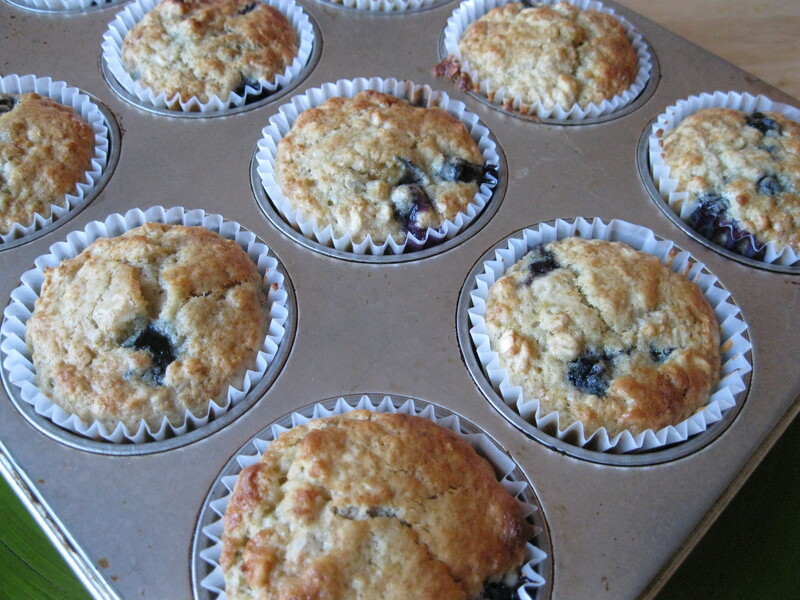 There was a request some days back for blueberry muffins, I’m happy to oblige 🙂 This was a favorite when the kiddies were wee; sort of a no-fail, quick and easy, lunch-box, snacktime, anytime go-to recipe. It’s no less a favorite now. 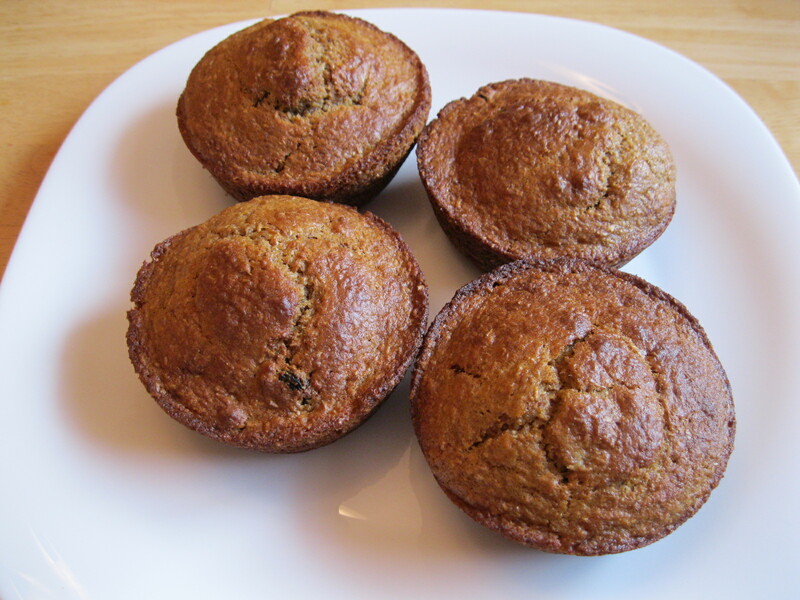 These muffins are so much better (in my opinion) than so many of the cake-like blueberry muffins out there. 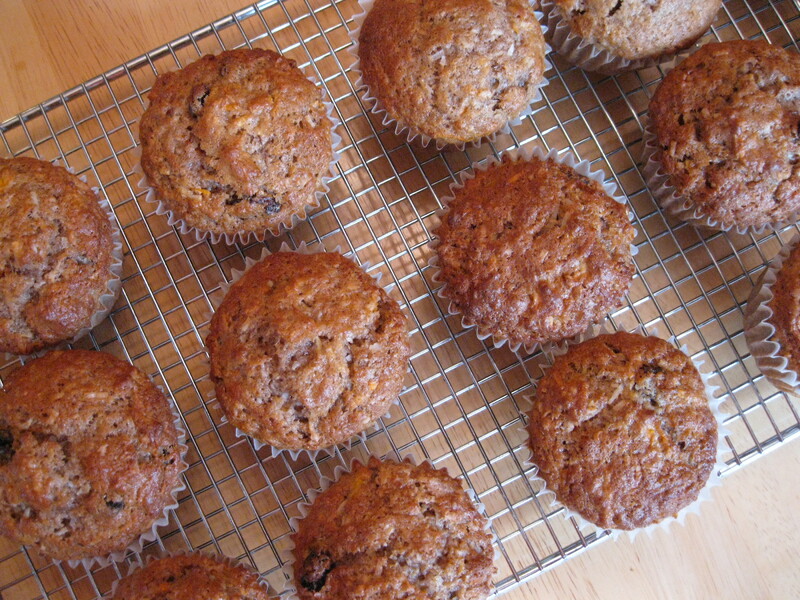 The buttermilk and rolled oats combine for great effect to keep the muffins moist and tender. 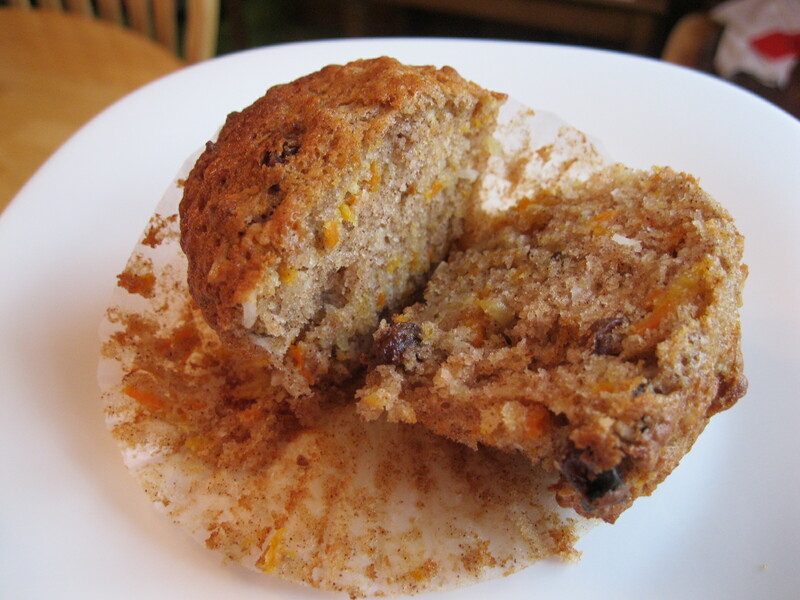 As with all muffins, remember to gently stir the batter just until all ingredients are moistened. Overstirring will result in tough muffins, definitely not the result we are after! I hope you will try the recipe and that you will enjoy it as much as my family has done. In a small bowl, combine buttermilk and rolled oats. Let stand. In a larger bowl, combine the rest of the dry ingredients. Add blueberries and gently toss in the flour mixture to coat the berries. Into oat mixture, stir egg and oil. Add oat mixture to dry ingredients, gently stirring just until moistened. Fill muffins tins/cupcake papers about 2/3 full, dividing batter to make 12 muffins. Bake at 375° F for about 18 minutes until muffins are lightly golden brown. Cool in pan for a couple of minutes, then remove to wire rack to cool completely. Instead of blueberries, try other berries and soft fruits – strawberries, raspberries, blackberries, peaches, etc. Chopped rhubarb with 1/2 tsp cinnamon is a great combination as is banana/cinnamon (use 2 mashed ripe bananas). The last time I made this big-batch muffin, we really did enjoy the results, but I’ve tweaked the recipe and now we like them even more. The texture is bit lighter with these changes. I’ve reduced the all-bran cereal from 4 to 3 cups, increased the natural bran from 2 to 3 cups, and decreased the molasses from 1/2 cup to 1/3 cup. Otherwise, everything else is the same. In a large bowl, pour the boiling water over the All Bran cereal. Let stand. When the mixture has softened and cooled but is still warm, stir in the molasses. In a separate bowl, lightly beat eggs together and stir in oil and buttermilk. Slowly add egg and milk mixture into the softened, cooled cereal and combine thoroughly. Meanwhile, in an extra-large bowl, stir together the flour, natural bran, sugar, salt, baking powder and baking soda. Make a well in the dry ingredients, add raisins and pour in egg and milk mixture. Gently mix until all ingredients are combined. Use a folding method to avoiding over-mixing. The batter is ready to be stored in the refrigerator and baked as needed. Fill muffin tins about 2/3 full. Bake at 375 degrees F for about 15 minutes. 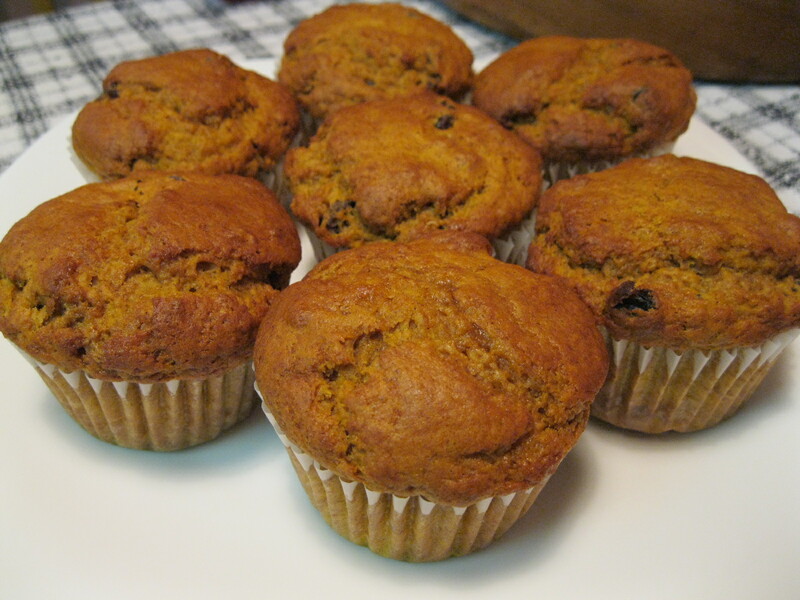 What can I tell you about these muffins except that they’re good; spicy with cinnamon, moist with pumpkin, chockablock with plump raisins. Go ahead and try them, you’ll like them. Stir together dry ingredients: flour, sugar, baking powder and baking soda. In a separate bowl, stir together wet ingredients, including pumpkin pie filling. Make a well in the dry ingredients and pour in wet ingredients and raisins. Mix just until moistened. Using jumbo cupcake liners, divide batter into 12 portions. Bake at 375 degrees for about 18-20 minutes until golden brown. Combine dry ingredients in a large bowl. Blend together eggs, oil, buttermilk and vanilla in a separate bowl. Add to dry ingredients, gently mixing just until moistened. 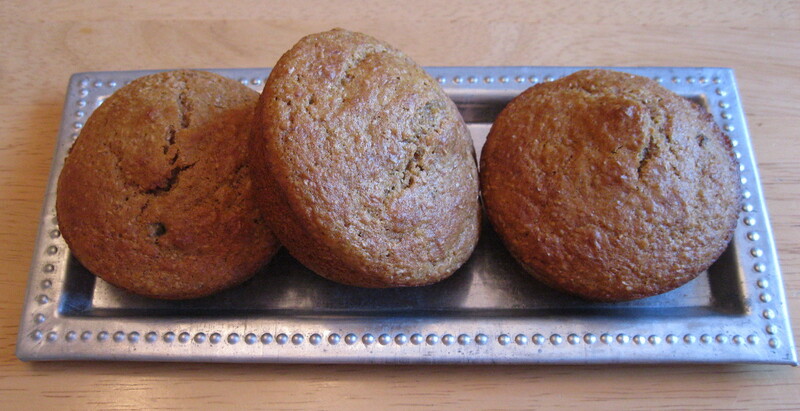 Divide batter into muffin tins, bake at 375 degrees F for about 20 minutes. Makes 18 large muffins, using cupcake liners. 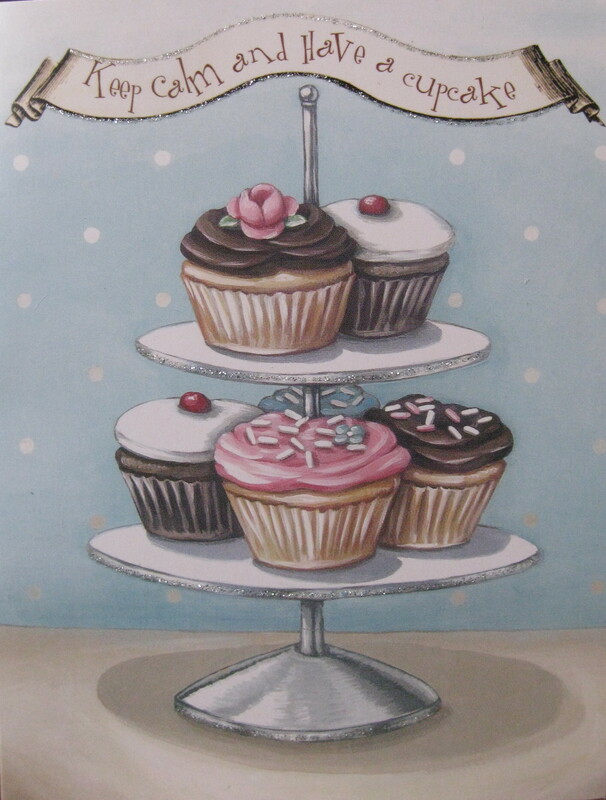 I got this card from my sister together with a yummy plate of blueberry and bran muffins. Alas, the plate was empty before I thought of a picture.